Whenever there’s a new platform, the technology industry falls over itself looking for the ‘killer app.’ With the rapid innovation and investment in the VR industry, there are a lot of people looking for their opportunity to enter the market before it hits the mainstream. While there’s widespread agreement that VR is still quite a ways away from a mainstream market, there are disagreements about how to get there. Location-based entertainment (LBE) VR is one area that shows a lot of promise. LBE VR is essentially a place of business that hosts VR experiences, allowing users to physically interact with the environment in a way they can’t in their own home. Imagine walking around a haunted house, or running around a warehouse with walls that are made of foam, but look like bricks in VR. These are the sort of experiences LBE VR enable, and I believe they will be crucial in building the customer base for VR and vaulting it into the mainstream. Why location-based VR and why now? VR has one fundamental problem—not enough people have actually tried VR, much less good VR. This is a major problem because until you have tried VR, you don’t understand the immersive power of the technology. Most VR today is still relatively expensive and the best experiences cost too much for the average consumer. Because of this, I believe that location-based VR is the natural and necessary next step for VR and the immersive technology market on its way towards mainstream appeal and market. I think of location-based entertainment (LBE) for VR as an analogous step to the cyber cafes of the early days of PC gaming and PCs in general. Eventually, many of those centers ended up dying off, but some survive today in places where people can’t afford to buy or build their own PCs. Additionally, many of these cafes see VR as an opportunity to bring in new business and retain current customers. While the technology behind LBE VR is more complex than traditional cyber cafes, I believe it will have much longer legs. The LBE VR experiences of today are designed to take advantage of the technology gap and provide users a VR headset, a VR backpack PC (in most cases), and a custom-designed space, designed to enable the user to walk freely within their VR environment. Other LBE VR experiences pair a mobile untethered VR headset with roller coasters, wind tunnel diving, and other activities that are seemingly impossible to experience at home. Many theme parks are getting excited about VR and how its implementation could improve the experience, increase excitement about their rides, and drive more foot traffic. In short, I see location-based entertainment as the gateway to VR. While many of the companies doing location-based VR solutions only announced their products this year, these solutions have been in development for years. Getting the right hardware, software, and experience down for first-time VR users in a retail setting is incredibly difficult and took many companies a considerable amount of time to perfect. There are several different ways businesses are employing LBE VR. I recently spent a few hours at VR World NYC, which employs an all-day business model—you pay one fee and get ‘all day’ to play VR games. I have also encountered the time model, where you pay for VR experiences per hour or per minute depending on the size of the business. Others I’ve encountered charge per experience. The industry is still very new, and it remains to be seen which of these business models get the most traction with consumers. I have spent the last year meeting with and trying out various location-based VR experiences from different companies to get a better idea of where the market is and what is being done right (and wrong). While I haven’t had a chance to try all location-based VR experiences, I have experienced a considerable majority of them. Without further ado, here are my findings. The first location-based VR experience I tried was by Neurogaming, who partnered with World of Tanks on a multiplayer tank game that can be played in VR. Their plan is to launch this game in location-based environments and eventually release it as a public game at some point down the road. Because of the current spatial and cost constraints of VR, this approach makes a lot of sense. 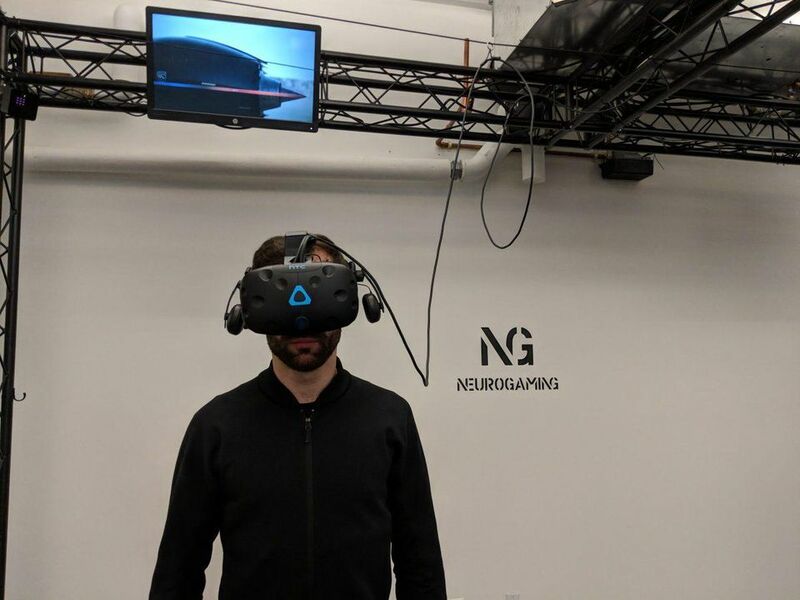 Neurogaming also showed me its platform for high-end VR visualization, which included a training functionality as well as a hyper-realistic, full-body-tracked, first-person shooter game that really blew me away. This platform is called PolygonVR and can be used for virtually any application. I will say that in the many VR experiences I’ve tried since I have yet to encounter anything like PolygonVR’s photorealistic graphics. Neurogaming and World of Tanks also partner with another LBE company in the US called Exit Reality, with plans to distribute and set up their platforms for the US market. Exit Reality is different than other location-based VR companies because it does both fixed and mobile VR setups. Its expertise is in setting up different types of pods that can be used for VR experiences. I’ve seen the company demonstrate its setup many times. I first ran across it at GDC, where it demonstrated (in partnership with a casino gambling company) how its X Hub allows users to gamble on the outcome of competitive VR matches. Exit Reality has many different partners, but most of its business centers around setting up LBE hardware and locations and enabling virtually anyone that wants an LBE setup to have one temporarily or permanently at their business or event. I also had a chance to try out SPACES, which operates a VR LBE retail location with Terminator licensed content right in the heart of the Irvine Spectrum, one of the busiest malls in the US. It is also partnering with National Geographic to create a Virtual Reality Theater in Washington D.C., with content created by National Geographic’s photographers. As if that wasn’t enough, it is also launching an LBE VR center in Tokyo in partnership with SEGA that will utilize SEGA IP. Spaces is also partnering with Chinese theme park operators to build LBE experiences, but the details are still under wraps. I expect that the Chinese LBE experiences will be an order of magnitude larger in size and scale, like many things in China. I tried out Spaces’ Terminator Salvation experience at its office and retail location, and I really enjoyed the sense of presence it gives you with physical objects. I also appreciated the ability to share your experience on social media with friends and family. SPACES is also partnered with HP using the HP Omen VR backpack PC to power their experiences, I have previously written about this backpack here. HP is the leading OEM in the LBE category because they are the only tier 1 OEM shipping a commercial VR backpack and the company also offers a commercial HP Z Backpack for enterprise VR as well. IMAX’s VR centers were among one of the first I had a chance to try out earlier this year. I found that it has a different business model than others—it felt more like a movie theater, where you paid per experience rather than per hour. Most of the IMAX experiences were in smaller pods or in ‘4D’ chairs, and did not involve as much movement as some other LBE setups like Neurogaming, Spaces, and The VOID. I believe that IMAX’s struggles to get its VR off the ground may have a bit to do with the content, the locations, and lack of advertising. I thought the prices were relatively decent, and I enjoyed the experiences I tried. I also appreciated the fact that it had more high quality and artistic experiences than what I could download off Steam. It was telling that most people I talked to about the IMAX VR center in LA had no idea it existed. Additionally, most people I talked to that had experienced it said their experience was lukewarm. 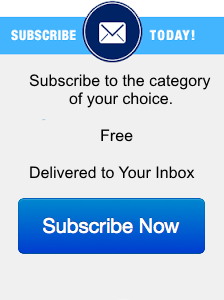 I think that IMAX has some good ideas, but ultimately its execution is poor. The VOID has been around for quite some time and is possibly the most recognizable among all the LBE VR companies. While IMAX VR may be a well-known brand, not very many people know that its VR centers exist or that IMAX has anything to do with VR. Like Spaces, The VOID has done a very good job of focusing on well-known IP, integrating physical objects to make things more immersive, and delivering a good social experience. The VOID has multiple experiences in multiple LBE VR centers around the world, and are the only ones that have the Star Wars: Secrets of the Empire and Ghost Busters experiences. Secrets of the Empire is really the only playable Star Wars IP in VR, so you must go to the actual physical LBE retail location to play it. Like many other LBE setups today, I am not convinced of The VOID’s replayability. For something to survive, I believe you should be able to play it with different people again and again and it should still be fun. For this reason, I really appreciate how Spaces is building its business to be more with quickly reconfigurable stages and multiple experiences running in the same venue on different stages. The VOID is still, without a doubt, the most popular LBE VR out there—probably due to its many locations, familiar IP like Star Wars, and newer content like Ralph Breaks VR and Nicodemus. VRC is an interesting player because it is more of a content creation company than anything else. However, the company realizes LBE is where the market is today and is testing the waters. I got the chance to try out its Jurassic Park VR experience inside of a Dave & Busters, and I enjoyed it. There was a continuous line of people waiting to try out the experience while I was there, demonstrating that good IP paired with a good location is a solid recipe for success in LBE. I spoke to one of the operators and he said on a busy day they can run up to 500 people through the experience, which only seats 4 at a time. Dave & Busters says it loves the amount of attention, positive feedback, and added revenue the experiences bring to its locations. Hologate is another multi-player experience LBE VR company with a large portion of its install base within existing businesses: movie theaters, bowling alleys, casinos, mini golf courses, theme parks and other entertainment venues. Like others, Hologate specializes in easy-to-support turnkey solutions designed to generate additional revenue for the businesses that deploy them. These generally 1-4 player experiences were very popular at Comic-Con this year. At the conference, it showcased an entertaining shooter game, but it has a lot of other content (its own) that can satisfy many different types of users. Hologate has been getting a lot of traction and is claiming it sold 150 units in the last 6 months. Survios is a content company first and foremost. However, many of its titles (such as RAW DATA and Sprint Vector) are inherently competitive and multiplayer. It makes sense that Survios would turn to LBE VR as a source of additional revenue and a way to reach a broader audience outside of Vive and Rift owners. The company boasts experiences in LA, Dubai, New York, Seoul, and Tokyo. Some of Survios’ titles, like Electronauts and Creed: Rise to Glory, are a little more single player focused, but still offer a pretty unique experience in VR with some very inventive and VR-native content. While I haven’t tried out a Survios LBE VR location, I own a lot of the company’s content, and I really enjoy it. I have even partaken in some multiplayer RAW Data gameplay at Survios’ offices before it launched the game at its E3 party. I first met with Two Bit Circus at VRLA years ago. At the time, it was one of the first companies that were making VR content for LBE purposes. 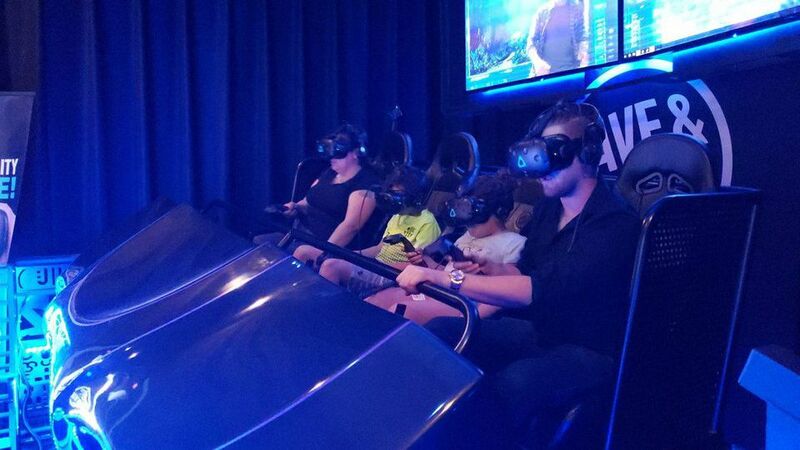 It just recently opened its own immersive gaming LBE retail location in Los Angeles, with unique experiences that include but are not limited to VR. In my opinion, Two Bit Circus is more focused on harnessing the latest technology for the maximum amount of fun—whether that includes VR or not. That being said, VR appears to be a considerable amount of the content it is creating for itself and others. I haven’t had a chance to experience Two Bit Circus’s LBE VR yet because it is so new, but I will be in LA very soon and expect to try it out then. At Oculus Connect, Oculus demonstrated a full 5 v 5 VR experience on Oculus Quest, with a physical environment and even some AR/MR for onboarding. Overall, I believe that these explorations will lead to more accessibility for LBE VR, since Oculus Quest and Vive Focus cost a fraction of what headset/PC configurations cost, and are easier to manage as well. The location-based entertainment market for VR, as I’ve said before, is a stepping stone for something much bigger. I do not believe that it will go away—rather, it will serve as an amplifier to add value to other location-based entertainment businesses that already exist today (roller coasters, mini golf, etc.). I believe that location-based VR experiences are going to change consumer sentiment and drive demand towards standalone devices like the Oculus Go. 2018 as I had predicted, was the year of enterprise and standalone VR. I expect that 2019 will only be an expansion of those plans. The simple truth is that it is very hard to convince someone that VR is the future of entertainment until they try it themselves. These LBE VR businesses are going to help make that a reality in 2019 and beyond.